Lust will bring them together. Honour, will tear them apart. PHOEBE Oneiroi, a rare scion of the Underworld believed to have died a thousand years ago, has one weakness—Alexander Heracles Arlington. And only one rule when it comes to him—no kissing! XANE, aka Alexander Heracles Arlington, expected by all to rise and take his place as leader of the Heracleans, is at the top of his game in the Custodial Intelligence Community. When it comes to sexual liaisons, there are only two rules—never bed a work colleague, and never let his heart get involved. 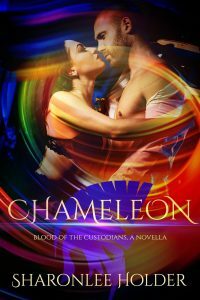 As secrets unfold and loyalties are questioned, all bets are off in this fast-paced novella set in the steamy Blood of The Custodians world during the tumultuous blizzard of the century. With lives and hearts on the line, which will the odds favour?